Last night, President Santos said if the FARC continue destroying infrastructure, he does not see a reason for peace dialogues to continue. On July 28, four thousand residents of Buenaventura were left without electricity after the FARC destroyed infrastructure. On July 26, the FARC’s 53rd Front blew up a part of the aqueduct in Granada in Meta department –which left 60,000 people without water. On July 22, the FARC damaged the Nowen Bridge over the Guaviare River on the roadway connecting the departments of Meta and Guaviare, 15 km from the city of San José de Guaviare. 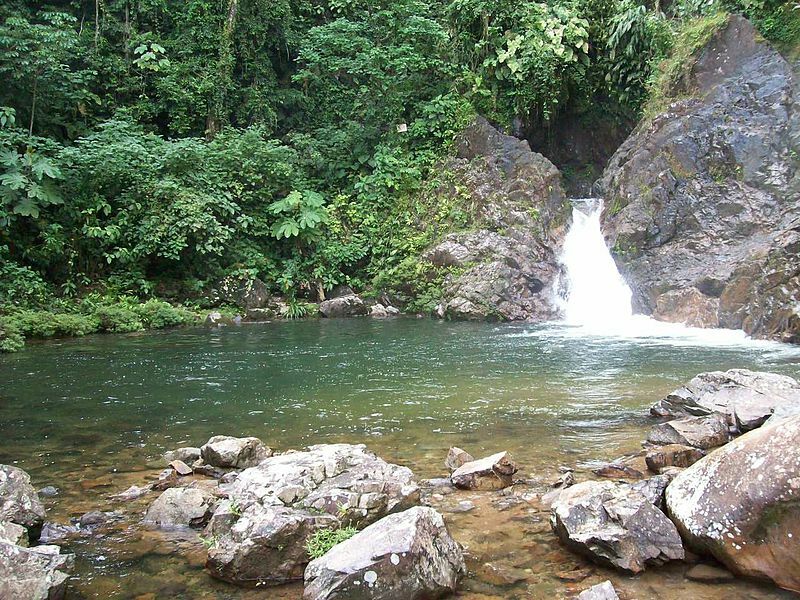 This means the residents of Meta and Guaviare cannot use one of the country’s main roadways. The FARC had previously damaged the bridge on July 16. On July 17, the FARC detonated explosives on a bridge that connected the municipalities of Barbacoas and Tumaco in the department of Nariño. Colombia is in desperate need of infrastructure; for example: San Vicente del Cagúan in Caqueta department gained fame as the seat of FARC-government negotiations during the era of former President Andres Pastrana. Ten years later, one of the greatest complaints from its residents is that the road between San Vicente and Neiva is mere lush mountains, land-slides, mud, and FARC extortions. It now takes seven hours of travel to get from city to city. If the road was paved, it would only take three hours and legitimate commerce would flourish. A container shipped from Hong Kong is much, much cheaper to transport –five times less, in fact – than it is from any Colombian port. In 2011, the Santos government passed a ten-year $55 billion dollar investment plan for new infrastructure. 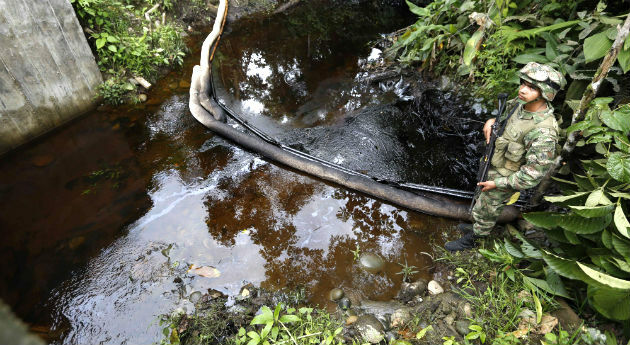 On the environmental front, on July 1, the FARC’s 48th Front forced drivers of 23 tanker trucks to empty their fuel onto the roadway, polluting water sources in Putumayo. One hundred and six families were immediately affected, and it produced estimated losses of about US$900,000. Land mines, which the FARC have planted over the years, make the clean-up even more difficult. On July 23, again in Putumayo department, the FARC forced four more tanker trucks to empty their fuel onto the roadway. Jorge Coral Rivas, the mayor of Puerto Asís, asked that the oil spills be addressed in talks in Havana. Putumayo has great fauna and flora diversity — and is also home to some of the thickest coca fields in the world. To note: On May 20, the FARC broke international human rights law when the FARC’s “Jacobo Arenas” column used a school in Cauca department to store 76 gas cylinder bombs, putting at risk 120 children between the ages of 6 and 12 years old. Only a wall separated the children from the explosives. The FARC also planted nine “artisan explosives” around and near the school. A number of people who had a past in a rebel group, and who you may think would support the FARC, have harsh words for the FARC. Everth Bustamante was once one of the leaders of the now defunct guerrilla group, Movimiento 19 de Abril, M-19. He is now a senator for Alvaro Uribe’s Centro Democrático. Uribe’s Centro Democrático is a stiff opponent of the peace talks with the FARC. Bustamante said President Santos wished to establish a “co-government” with the FARC. Angelino Garzon, the current vice-president, was the General Secretary of the labor union Central Unitaria de Trabajadores, CUT, between 1981 and 1990. He served as the Minister of Labour and Social Protection under President Pastrana, from 2000 until 2002. Putumayo has great fauna and flora diversity. Putumayo is also home to some of the thickest coca fields in the world. 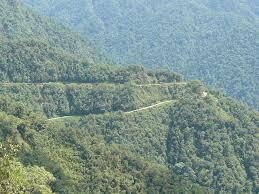 During the month of July, the FARC forced tanker trucks to empty their fuel onto the roadway.